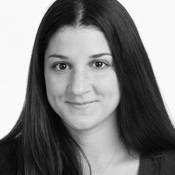 Lisa Barone is Vice President of Strategy at Overit, where serves on the senior staff overseeing the company’s marketing consulting, social media and content divisions. Known internationally for creating many of the best practices and strategies for social media, Lisa works with clients to create unified, mixed-media marketing strategies. Prior to joining Overit, Lisa co-founded a leading national search agency, which she ran while serving as Chief Branding Officer for three years. Lisa has been a constant voice of insight and reason in the search world since 2006. As a noted search writer, she has founded and grown multiple blogs, all earning spots on AdAge?s Power 150, among other accolades. She has been featured in publications such as The New York Times, The Wall Street Journal, BusinessWeek, Inc. Magazine, Reuters, Intuit, Forbes, PBS, FOX News and others on subjects related to small business marketing, social media and search marketing. In her spare time, Lisa takes advantage of the Capital Districts gorgeous natural backdrop by hiking, kayaking and exploring whenever the weather allows.